Early in the spring semester, 2009, I decided to seek early retirement from the faculty of Teachers College, having concluded that it was time for me to try stepping away from campus-centric activities, which had up until then characterized my work. This proposal reflects a residual ambivalence about that decision as it clearly laid out the rational for disengaging from a particular campus, but did so as a development proposal at Teachers College. That ambivalence undoubtedly doomed it as a request for funding, and since then I have more radically embraced the idea of autonomous gifting in the commons. This proposal, however, is an important step towards the idea of a diffuse autonomous community as an active initiative in study and liberal learning. We write with the ostensible purpose of applying for support from the Provost's Investment Fund. That request is rather narrow, aimed at amplifying on-going work supported (to June 2011) with independent funding. We write, however, with the further purpose of initiating discussions that might lead to a complex, long-term collaboration on an ambitious innovation in higher education, one that would reach well beyond our current project, Teachers College, and Columbia University as a whole. Given this larger purpose, we will first sketch the big picture into which the long-term collaboration we envision might fit. We will then indicate what we see as the key components that might begin that collaboration over the next few years. Then we will close with our specific request, indicating how it will help in initiating the larger collaboration. Conventional wisdom expects digital technologies to transform education by changing how learning takes place, making it more efficient and effective by astutely applying better cognitive strategies to transmitting the established curricular subjects. Upon its realization, this expectation will be a happy eventuality. In the meantime, however, more certain but less noted – digital technologies are changing what learning takes place, who serves as its source, and by whom it is acquired. Information and communications technology (ICT) alters prevailing patterns of feasible instruction and study by strengthening forms of activity that once were difficult to conduct. As these thrive, a new ecology of education emerges. This proposal seeks seed funding to accelerate and organize some of these important changes in who can teach what to whom, which ongoing technological developments are making possible. To grasp these possibilities that might emerge from obscurity into significance, consider key long-term secular changes that have been and will continue taking place globally over past and coming decades in the extended present within which we live. Five are of special significance, three of them in the area of technology and two pertaining to the demographics of education. Together, the three technological changes are girdling the globe with an interactive digital communications system, occasioning the systematic digitization of humanity's cultural resources, affording each person instantaneous access to any matter of interest, any place, any time. With the demographic changes, education is ceasing to be the once-in-a-lifetime experience that was confined primarily to schooling during childhood and adolescence. Instead, it is becoming continuous and ubiquitous, permitting each person to shape and reshape, life-long, the skills and interests requisite for both work and leisure. And as that happens, the average lifespan itself lengthens significantly, extending the normal period of mature health and vigor, altering the established stages in life experience. As a preamble to seeing how these changes can strengthen activities that were hitherto insignificant, let us observe them more closely. In our extended present in which the global spread of interactive ICTs is unfolding, the power of "long tails" emerges, unexpected, the first technological development that potentially alters successful pedagogical interaction. As a system, the capital cost of digital technology is expensive. But once a system of digital interaction starts to operate, the incremental cost of interactions through it plummet compared to other modes of interaction. This drop creates the long tail. Previously, advantage accrued to those who engaged many clients in a few standardized interactions. Concentrating only on high-volume interactions subjected costs to economies of scale – the best seller, the block-buster hit, mass production, and endless measures of popularity. With the digital drop in transaction costs all transactions, the frequent and the occasional, enjoy equivalent economies achieved previously only by top sellers. As a result, the relative value of a huge back list, or its like, rises markedly, and this big back list, in many different forms, constitutes the "long tail," a set of numerous possibilities, none of which happen frequently, but which amount in sum to a great buzz of productive activity. Power, wealth, and influence thus accrue to clearinghouses that organize and exploit a long tail: Amazon, eBay, Netflix, Wikipedia, and on, all thrive by efficiently offering a vast range of possibilities, even though any one of them may interest only a very few. Suffice it for now to observe that no one has yet figured out, Phoenix University notwithstanding, how to work the long tail in higher education. Social software in the context of Web 2.0 is a second emerging digital resource. For a time, many felt that interactive communications were isolating and alienating, enclosing individuals in a geekish cocoon without flesh and blood meaning for self and others. A familiar medium of virtual interaction, the telephone, should point our expectations in a different direction. It works, not as an alternative to other modes of interaction, but as a facilitator and supplement, as a means for conducting a well-established form of interaction, namely conversation. Technologically, Web 2.0 and beyond puts end users in command of sophisticated multimedia and database technologies that enable diverse forms of real social action – sharing interests, keeping up, introducing one friend to another, asking questions, giving help, kidding, organizing activity, and on. People engaged in higher education are extensive users of social software, but the use of social software in the conduct of higher education has so far been sparse, perhaps because substantial resources and effort were prematurely sunk in packaging "online courses" to deliver the standard academic fare only at a distance. Suffice it for now to note that courses in and of themselves are of interest only to the bursar and the registrar – what teachers and students actually do in higher education through courses is more varied and complex and has yet to be well-adapted to the Web. Third, open source! Unexpectedly, volunteer, decentralized, well coordinated activity in the digital commons is proving highly productive. Historically, the traditional commons, so picturesque, yet tragic, could defend its finite resources neither from enclosure by those who could manage the legal subtleties of possession nor from over-exploitation by those who used common resources for private gain, oblivious to the responsibilities associated with free use. In the digital world, the commons ceases to be tragic. The digital commons does not degrade with increasing use. Its resources inherently expand and improve the more people employ them as holdings in common. And those working in the digital commons can defend it well against enclosure by those lusting for its proprietary possession. Major examples of open source production within the digital commons have become both prominent, like Linux, and in the case of Wikipedia, quickly dominant. Open source development has succeeded best when many contributors can expand an initial core with numerous small, well-specified additions. Suffice it for now to observe that however we interpret the creation of traditional courses, open source production principles have not yet deeply influenced the uses of new technologies in instructional design for higher education. Digital technologies are not encapsulated agents of change, working in isolation from other developments. Conditions affecting the conduct of life have been changing, both rapidly and profoundly, since the mid-nineteenth century. The human environment has become more organized, predictable, manageable; populations have flourished and within their self-made systems of constraint extensive opportunities for autonomous self-determination have opened for almost all. Systems of universal, compulsory schooling, followed by wide access to institutions of higher education, have been contributing to deep, rapid, and extensive cycles of change that feed back upon themselves. Significant cultural lag can result. Throughout the 20th century, critics challenged the idea that education took place in the first fifth, or quarter, or even third of life, primarily through formal instruction. Relying early in life on formal schooling alone was incommensurate with the emerging needs and uses for education more comprehensively understood. Contemporary life conditions required life-long learning to be situated, not apart from the rest of life, but deeply integrated in it. Yet neither schooling nor the higher learning has risen to this charge. Curricula, the scope and sequence of studies, and the whole architecture of education are largely the same as they long have been, perhaps a bit more consumerist at the margins. The collegiate program developed for residential students, aged 18 to 21, largely shapes programs and expectations for students who left the system too early in their lives and then come back through community colleges and other "non-standard" programs to complete an undergraduate degree. Home schooling, note the nomenclature, is not deschooling society. Initial steps towards online education have largely aped the forms of institutional pedagogy, as if courses and Carnegie Units were part of the order of nature. Music, news, and entertainment seem unable to keep themselves from being sucked spontaneously onto the Web, freely there, wherever, 24/7 for all. Suffice it for now to note that educators have not yet found effective ways to use media, new or old, to acquire a continuous, ubiquitous presence in daily life. Finally, consider a last change – in a human sense, the last change, a change in our final change, as the place of death recedes in life because people on average live longer, fully active lives. Lengthening the normal lifespan deeply affects educational demographics. Increasing numbers of people in their 60s, 70s, 80s, even 90s, are highly active, well-educated, intellectually engaged, richly experienced. Prevailing career patterns in higher education originated at a time when people usually had spent their best energies on reaching their mid-60s or so. A professor would have normally finished advanced education by the early 30s; then would run the promotion ladder to tenure and full professor by the late 40s; and would conclude by working on a sustained plateau for 20 years or so to the mid to late 60s. Now, that plateau can extend on and on, risking sclerotic self-repetition for the professor, programmatic obsolescence for the student, and a jam in recruitment, promotion, and tenure for the institution. Suffice it for now to recognize that colleges and universities are beginning to find ways to induce older faculty members into retirement, but at a financial cost, and at a loss of talent that a more creative extension of the academic career pattern might capture. Can colleges and universities offer ubiquitous, continuous access to high-quality, life-long learning, and take advantage of extensions in productive longevity through new career stages, by effectively developing a productive long tail in the higher learning through the use of social software and commons-based peer production? Our proposal, both in its narrow and its broad sense, involves a tentative, ecological response to this question, an historical question posed by the dynamic conditions of our extended present. We aim at a small change in who teaches what to whom, a small initiative, but one suited to the conditions of our time in ways that will enable it to thrive and spread. Ecological change occurs as altered conditions enable forms of activity to thrive that were stunted or stillborn under prior conditions. The object is not to apply digital technologies to currently strong activities. The object is to perceive activities that currently are weak or non-existent and to uncover strategies for strengthening them and to use technology in ways that will enable them to thrive and expand. Currently both the long tail and continuous, ubiquitous life-long learning are weak, poorly developed efforts in higher education. Their deficiencies arise from the campus-centric character of existent higher education. Relative to the total population, only a small subset of persons congregates on any particular campus, whether it serves a residential or a commuter population. Small groupings on numerous campuses radically constrains the range of offerings feasible on each. The teeming variety of educational offerings that might make up the long tail of higher education, and that might richly interest a large leisured populace in continuous reflection and inquiry, has not yet come into being. What might activate the curricular stump and allow it to grow into the long tail of the higher learning? In response, we envision developing what we call utopic studies out of activities that under current conditions do not occur or happen in a halting, unsuccessful way in campus-centric pedagogy. By "utopic", we resurrect an obsolete meaning – "having no known location; existing nowhere." Utopic studies are educational engagements that now exist nowhere, that no one is offering at any campus or civic hall. The world of thought teems with utopic activity, coursing through each person's inner dialog – actions too late for an occasion, too forward, too speculative; repressed by shyness, fear, fatigue; exchanges that might take place, that perhaps should take place, but never do, for reasons good and bad. In education, all sorts of educational activities might take place that never do. A good subject becomes utopic for many reasons. The available forms of pedagogical interaction may be inadequate, the term too short for the subject. its scope too great or difficult, the rhythm of interaction inimical to an appropriate intensity or level of concentration. Too often, faculty members, with strong minds and much knowledge, want to address matters of real importance, but given prevailing constraints – job-market angst, budgets, the current correctness, methodological prejudgments, the flux of fads, accreditation requirements – the topic will attract a scant audience, or none at all. On campuses, all parties find bucking these constraints undesirable. When too few participate in a course, the professor feels rejected as deadwood, deans and department chairs fear fiscal inefficiency, and the occasional, forlorn student, who may have straggled alone into the desolate meeting, interprets the absence of others as a sign that the offering must be too hard, too boring, or too irrelevant to his anticipated work, and he hastens to withdraw. To the relief of all, the course gets canceled, more often not even proposed, and its topic becomes another entry on the long list of utopic studies. Yet, what may be utopic relative to any single campus program, may have an interested, worthy audience across the sum of many campuses. Thus our basic proposition about the changing ecology of higher education: whoever aggregates the sum of utopic studies, given a campus-centric pedagogy, and offers them effectively to those who might engage in their study across interactive digital networks, will deliver the long tail of higher education. We envision several developments converging in the next decade or two, effecting these changes. Perhaps only one, no more than a few consortia of academic institutions would develop and aggregate comprehensive programs of utopic studies and offer them continuously and universally to a general public of life-long learners. Developing and delivering these programs will require a very high level of effort, over and above the current level of effort absorbed by the campus-based activities of the participating institutions. The additional talent and energy to create the new program will become available by creating a new career stage for older faculty members, putting their skills, and the funding now consumed in enticing them into retirement, to a more productive use for both for them as professors and for the participating institutions. Design of the comprehensive program will be decentralized and distributed across the participating professors, who have stored up in inner dialog a wealth of possibilities that they would have liked to have taught but never did because the constraints of budget and the need for programmatic coverage on the campus where each worked discouraged it. Per-unit costs of development will be low as flexible, easy-to-use content-management tools enable faculty members to personally develop their utopic courses without reliance on expensive instructional design, staffs and social software enables them to provide themselves with mutual support and stimulation. One can reasonably anticipate that such developments will occur in due course in one or another approximation. One cannot, however, predict who will accomplish them, exactly how, or precisely when. To participate in bringing them about, one needs to build capacity and experiment at initial steps in the direction of the goal. That is the aim of the particular steps we here describe and propose, which aim to take advantage of a convergence of circumstances. Robbie McClintock, the PI in this proposal, is about to enter Teachers College's phased retirement plan with a longer term project of developing online prototypes of three utopic courses, exploring the history of educational thought in ancient Athens, in the tradition of civic republicanism, and in the literature of transcendental humanism between 1750 and 1850. The locus of this work is www.studyplace.org, a website maintained by CCNMTL, the Columbia Center for New Media Teaching and Learning. As a user generated site for explorations in education, communication, and culture, StudyPlace has been hosting efforts by a few instructors to use open-source content management systems for the online support of their courses with minimal reliance on an instructional design staff. Simultaneously, these efforts are providing an experiential context for some open-source development of the tools in use on StudyPlace. Simplifying and strengthening the production tools will further enable teachers and students to create their own educational materials with sufficient production values. CCNMTL has funding through a gift from a private donor to equip and run the site, to support McClintock's course design work over the next two academic years, and to configure some specialized software for content development and delivery. For the past year and a half, StudyPlace has been developing slowly, mulling certain problems. So far, almost everything on StudyPlace comes from and pertains to a particular campus, Columbia and within it, Teachers College, but developing the long tail in higher education can only be done by an extensive consortium, which cannot be imprinted by privileging contributions from one particular campus. As an objective for the near term, one that will greatly accelerate activity on StudyPlace, we want to attract contributions to it from many different campuses, but we do not want immediately to do this too aggressively, prior to stabilizing the production and navigation environment of the site. Nothing will discourage user-generated content more decisively than undue fluctuation in how a site works. We need to make a push to improve the power and usability of the site as a locus for the creation of the site's content by its users. To facilitate this work, we seek $15,000 from the Provost's Investment Fund. In order to attract content contributors, StudyPlace must overcome a second challenge, namely the chicken-egg threshold that any website must cross in order to start dynamically growing. To become dynamic, potential contributors to a site must believe that it is one that will take-off. Emergence of such belief appears somewhat mystical, leaving one to wonder why this idea took off and a similar one did not. Good luck plays a significant part, but in the world of innovation it is wise to try to stack the deck as best one can. Two steps are likely to do so in an effort to convince potential contributors that a site offering utopic studies as a locus for life-long learning is likely to enter into dynamic growth: having a plausible plan for sustaining development and providing novel incentives for participation, ones that may be modest but tangible, evidently not in a zero-sum trade-off with alternatives. Likely early contributers will be relatively savvy and will not need to see a highly polished, finished implementation, but they will want to see a plan for doing essential things in a plausible way. To offer an expanding spectrum of utopic studies to a learning public, one that comprises any person, any time, anywhere, a site must develop a flexible capacity for publicity (1), for quality-control (2), for student recruitment (3), and for consortium building (4). StudyPlace neither can nor should provide those capacities. It must link with an organization specializing in educational outreach, such as CEO&I, the Center for Educational Outreach and Innovation at Teachers College. We propose joining with CEO&I to plan and develop outreach strategies and mechanisms for a program of utopic studies, a consortium that will describe, present, and manage it without ostensible links to Teachers College, Columbia, or other campus-based institutions. To help underwrite publicity and support activities by CEO&I on behalf of an incipient program of utopic studies, we seek $5,000 from the Provot's Investment Fund for use between now and the end of the 2009/2010 academic year. A broad consortium of many academic institutions, managed through CEO&I, will be the key to providing tangible, sustainable incentives, as well as strategies of quality control, for the creation of a full program of utopic studies. The basic workings of this consortium have already been hinted at. First, utopic studies are almost by definition those not in direct competition with campus-based programs because they comprise studies that cannot be successfully offered under the campus constraints. Second, many colleges and universities are now offering older faculty members significant incentives to move into retirement, which might be put to better use through the consortium. Older faculty members are precisely the ones who will have accumulated the depth of learning that utopic studies should articulate and they also perhaps experience a certain ennui with their niche in the campus curriculum. Thus, colleges and universities in the consortium could use phased retirement funding to provide older faculty members a transitional salary as they developed their contributions to the program of utopic studies. Third, by developing its program from the ideas of senior faculty members for new educational experiences not given on participating campuses, the consortium would have a powerful mechanism for quality control on the production side, which market pressures would reinforce on the distribution side. In closing, we state four immediate objectives. 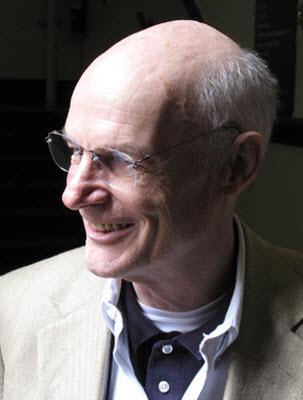 First, Robbie McClintock intends over the next two to three years to develop three utopic studies, one on educational thought in ancient Athens, a second on role of education in civic republicanism, and a third on educational theory in transcendental humanism of the late 18th and early 19th centuries. Robbie McClintock will devote his time freed up through the TC phased retirement plan and StudyPlace has sufficient finding to support this work through the 2010/2011 academic year. Second, to concentrate design and development work between now and September 2009 on improving internal navigation and content generation tools available on the StudyPlace site at the approximate cost of $3,000 per month. The StudyPlace project has $6,000 available for use on this effort in February and March and we seek from the Provost's Investment Fund an additional $15,000 to sustain the work through August 2009. Third, to start developing a management plan for the program of utopic studies, StudyPlace seeks to work with CEO&I to develop and test strategies for publicity, recruitment, and management that will attract content produced through open source peer production by providing content producers and participating consortium members a share of student fee income. We seek $5,000 from the Provost's Investment Fund for to help CEO&I defray publicity and other costs in initial marketing of utopic studies in 2009/2010. Fourth, StudyPlace, and its sponsor CCNMTL, stand ready to enter into broader discussions with the administrations of Teacher College, of Columbia University, and of other institutions in efforts to work out concrete solutions to the many implementation problems that will need solution in bringing the full idea to realization.